There is no denying it...social media is huge. 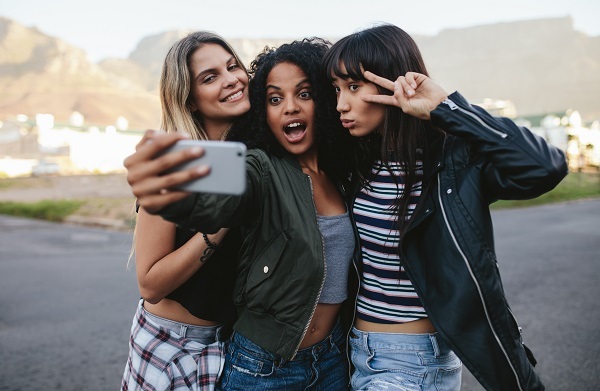 Whether it's Facebook, Instagram or Snapchat, selfies are said to be a motivation for people interested in plastic surgery. An annual survey conducted by the American Academy of Facial Plastic and Reconstructive Surgery also shows evidence to back this claim. In their comparison of year-over-year trends, the AAFPRS found that patients citing selfies as a motivator increased 13% in 2017. With a 56% increase in patients under 30, it makes sense that these patients would point to selfies to describe the changes they want to make. Millennials and the generation behind them are skilled social media users and consumers. With selfies so ubiquitous, images of ourselves have taken a front-and-center presence in our lives. Oftentimes the lighting and angle may be unflattering or even distorting. It's important to consult with an experienced plastic surgeon so you can both discuss the changes that you would like to make. While a photo is a great starting point, it's important to get advice from a qualified aesthetic surgeon. According to AAFPRS, 33% of facial surgery patients report the "fear of looking unnatural" as their top concern. Today's aesthetic patient wants to look rejuvenated, but without a frozen or artificial look. At Grossman | Capraro Plastic Surgery, our board-certified plastic surgeons have the skills and experience to provide beautiful, natural results. You will look like you, but refreshed and renewed. Both surgical and non-surgical procedures are effective for reaching your image goals. At Grossman | Capraro Plastic Surgery, you will have the opportunity to view past patient's before and afters so that you can see the naturally beautiful outcomes our surgeons have achieved. Our experienced team of Nurse Injectors and Medical Aestheticians are here to guide you. When you meet with either our Facial Aesthetics practice, or one of our plastic surgeons, you will have ample time to describe the improvements that you would like to achieve. Recommendations will be made for you with your image goals in mind. Our team members will go over cost, financing and scheduling with you, and then you will be able to make an informed final decision. To learn more about your options and to discuss aesthetic surgery with one of our board-certified plastic surgeons in Denver, please call Grossman | Capraro Plastic Surgery, at 866-221-9665, to arrange a consultation.